A completed set of awards ready to be given away. 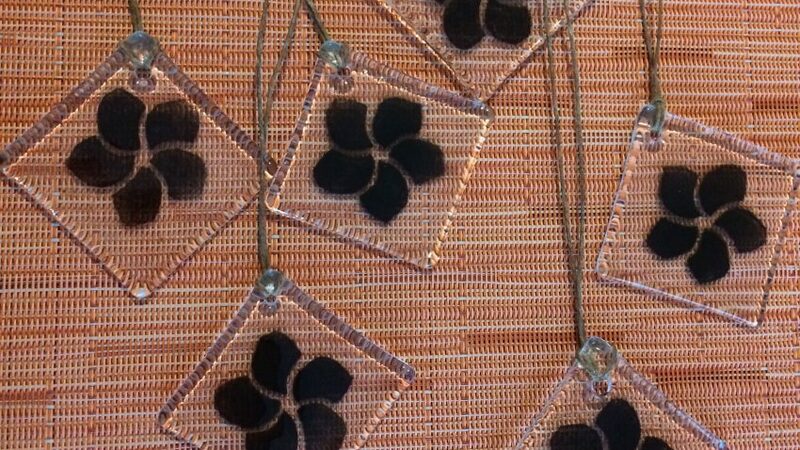 Thanks Jeanine for taking the lead in designing and crafting this years beautiful RATI awards. 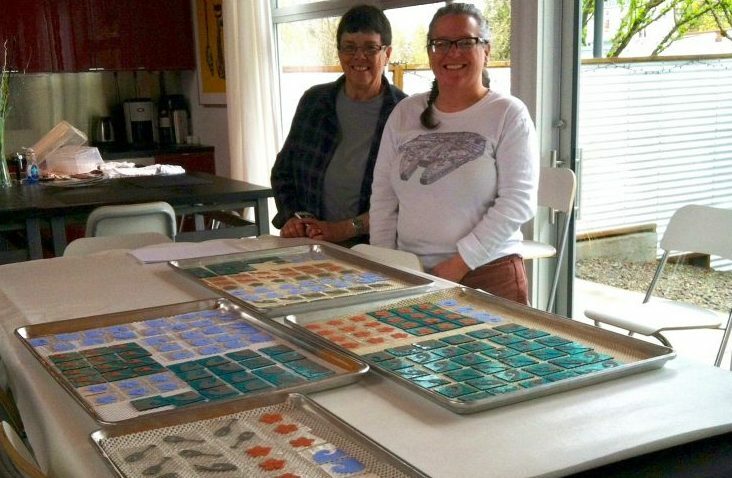 She collaborated with her sister and organized a Saturday work party to get them created and fired. CROCC would also like to thank the folks at Village Glass Studio (http://www.villageglassstudio.com/) for the use of their space and kiln. Thank you also to Bobbie and Doug for volunteering a afternoon to getting these done with the guidance of Jeanine. 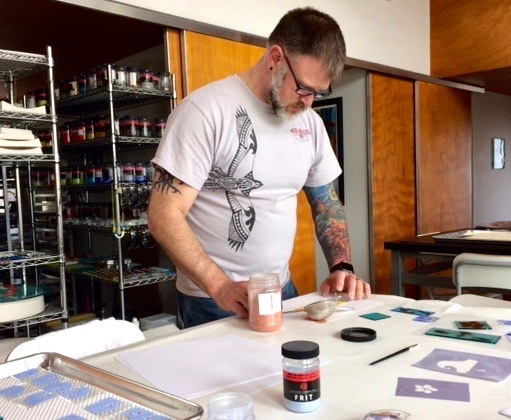 The awards are made from blue or clear glass which was hand cut, drilled, and washed in order to prep it for the stenciling process. 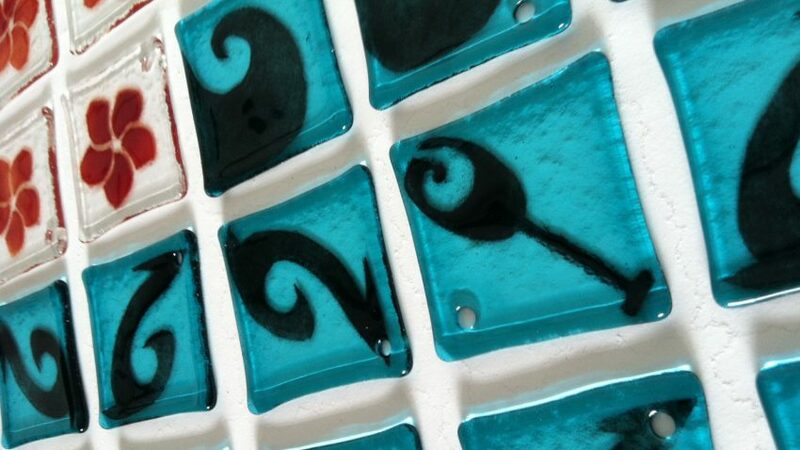 Each piece was hand stenciled with one of the following designs: outrigger paddle, a plumeria flower, an ocean wave, and the Makau (Hawaiian fish hook) and glass medium called “frit”, We used two different colors of frit to come up with unique looks to each set of awards. Once the piece was stenciled it was placed onto trans and it was put in to kiln to be fired. 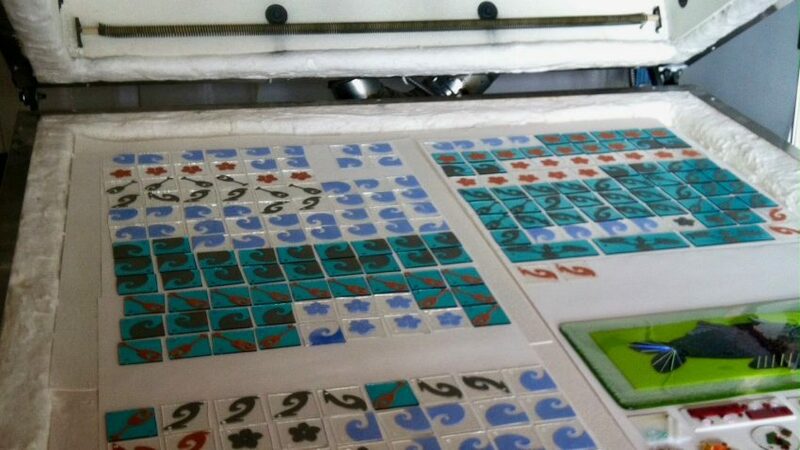 The process of firing melted the stenciled pattern into the glass and smoothed all of the rough edges creating the final awards. Loaded into the kiln and ready to be fired. Freshly fired and ready to be strung. 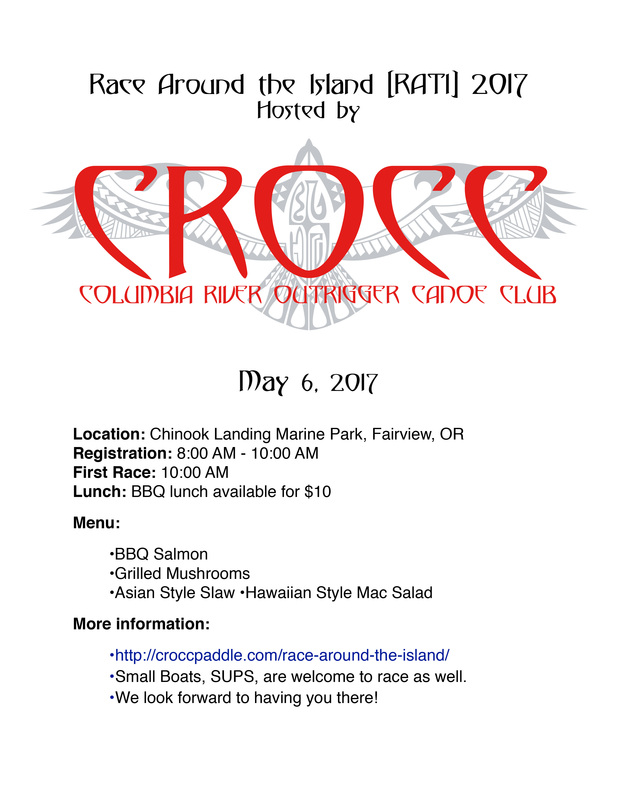 Columbia River Outrigger Canoe Club is happy to announce the 22nd Annual Race around the Island. Early registration is open.